When a hurricane ravages your home or business you can contact the hurricane damage Miami pros at 911 Restoration Miami right away. Our hurricane damage Miami operation stays available 24/7/365, where service agents are standing by to dispatch workers immediately, arriving with all the equipment necessary to begin floodwater eradication services. When home and business owners are left with flooding in their property after a major storm, our hurricane damage Miami crews want you to know that you can reach out to us literally around the clock to come and begin cleanup procedures. Our hurricane damage Miami experts has many years in the home restoration industry and work with IICRC certified technicians in order to where they deal with rain damage on a regular basis. So, call our professionals today to get the most competent property damage services in the industry. Our hurricane damage Miami workers know that there are many different side effects that arise after a hurricane, and we are qualified to provide you with both residential and commercial property repair. When a hurricane runs through the city it can cause high winds that can cause extensive damage on the home or place of work. Sometime these winds can reach upwards of 60 mph, which can rip through windows and roofing. There can also be storm surges that can create water to flood the property, and in extreme cases, even cause the collapse of the building or house, especially if there are waves involved. 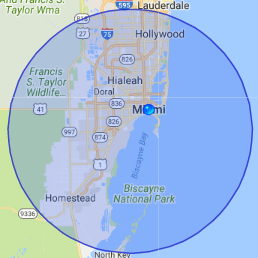 It is important to stay away from the damaged area and let our hurricane damage Miami members use the gear needed to safely remove the debris and conduct the water removal, drying services and structural damage repair. Our hurricane damage Miami team wants to ensure your safety whenever there is a storm emergency, so our staff acts as quickly as possible to begin disaster repair procedures. Call us the moment the hurricane has run through your home or business and our hurricane damage Miami agents will assist you as soon as possible to fully prepared to begin water damage restoration. In an effort to make our property flood restoration services available to everyone in the community, our hurricane damage Miami pros consistently keep affordable prices on all water extraction and drying procedures, as well as work with all major insurance companies. When it comes to flooding caused by a hurricane, a standard insurance policy probably won’t cover the damages, but it most likely will pay for the damage done by the strong winds. If you live in an area that is susceptible to hurricanes, then our hurricane damage Miami staff recommends that you purchase a separate flood insurance policy, that way you will always be covered. With so many years of experience, our hurricane damage Miami crew knows exactly how to communicate with insurance companies, so we will file your claim for you in order to make things as easy as possible. Customer service is our main priority, and during a hurricane crisis we don’t want you worrying about financial issues, which is why our hurricane damage Miami workers will do whatever it takes to get you the best coverage and the lowest deductible. When you need assistance with a rain leak, floodwater cleanup and a water disaster repair, contact our hurricane damage Miami members at 911 Restoration of Miami to give you the fresh start that you deserve!